A fine George II walnut concertina action card table. ​A pair of Irish carved mahogany cabriole leg console tables. A rare 18th Century Irish veneered walnut card table of small size, the cabriole legs, drawer front, top and interior finely inlaid with marquetry panels. 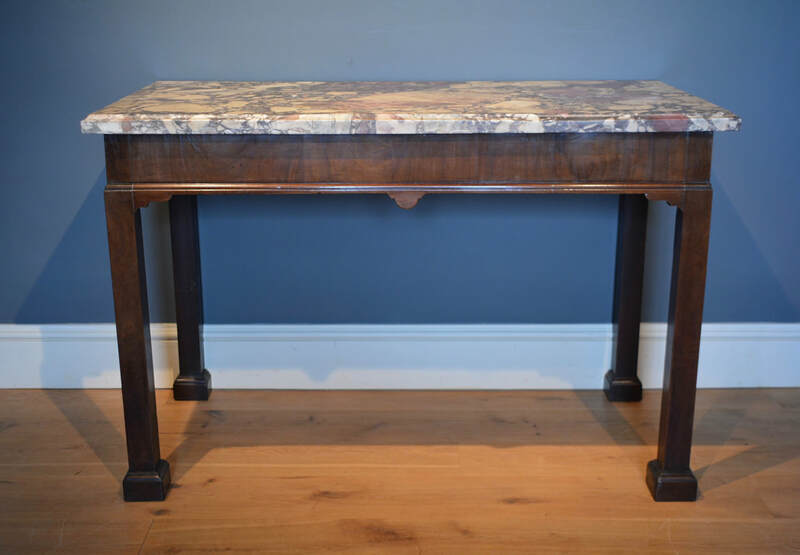 A rare pair of English wrought iron side tables, of baroque form retaining their original pale stone coloured paintwork with original native English marble tops. Provenence: Puslinch House, Devon Circa 1700. 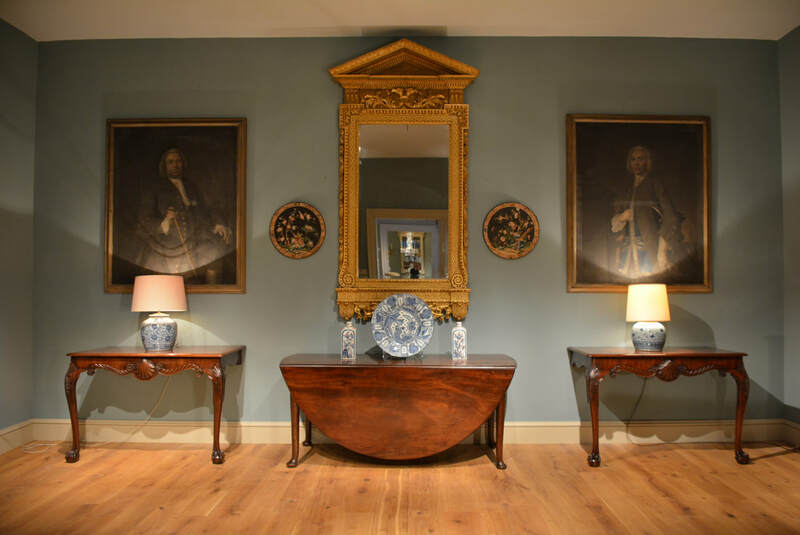 A rare pair of English wrought iron side tables of baroque form. Provenence: Puslinch House, Devon. Circa 1700. ​An early 18th Century side table of rare Baroque form. Circa 1720. A George II side table the breche violette marble top above a carved giltwood base , the frieze centred by a shell, standing on strongly accentuated scrolled legs. Circa 1730. ​A George II side table the breche violette marble top. Circa 1730.